The Small Business Commissioner, Paul Uppal, has highlighted poor supplier payment practices at Holland & Barrett, following the publication of his report into a late payment complaint made by a small business. The official complaint was logged with the Small Business Commissioner by the London-based technology consultancy after Holland & Barrett failed to pay a £15,000 invoice for a Search Engine Optimisation project within the agreed payment terms. The invoice took 67 days to be paid, which was outside of the contractual agreement of 30 days. Following the intervention of the Commissioner, Holland & Barrett paid in full 28 days after the complaint was submitted. However, the company refused to talk to the Commissioner about the case on several occasions. Holland & Barrett had previously been brought to the attention of the Small Business Commissioner, after the company was named by the Parliamentary Business, Energy and Industrial Strategy (BEIS) Select Committee into payment practice on 28 April 2018. As a result, the Small Business Commissioner contacted Holland & Barrett to discuss its payment practices, but the company refused to meet with the Commissioner. The raising of the complaint and its resolution has enabled the publishing of the report into this individual case, which the Commissioner suggests in his report is an example of a purposeful culture of poor payment practices at Holland & Barrett. Analysis of Holland & Barrett’s Payment practice reporting (PPR) data* highlighted that the company takes an average of 68 days to pay their invoices and 60% of invoices were not paid within agreed terms. 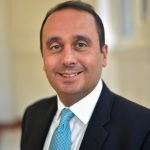 Small Business Commissioner, Paul Uppal, commented: “The Government is determined to end the scourge of late payments and bring about a cultural change to deliver responsible payment practices. “Holland & Barrett’s refusal to co-operate with my investigation, as well as their published poor payment practices says to me that this is a company that doesn’t care about its suppliers or take prompt payment seriously. Small Business Minister, Kelly Tolhurst, commented: “Small businesses are the backbone of our economy and through our modern Industrial Strategy we are ensuring they continue to thrive and that the UK remains a great place to start and grow a business. Rachel Reeves MP, Chair of Business, Energy and Industrial Strategy Committee, commented: “Consumers would be appalled to hear that a big name on the high-street such as Holland & Barrett is treating their suppliers so shabbily. It is outrageous that a company takes on average 68 days to pay its invoices and pays 60 percent of them outside of agreed terms. Mike Cherry, National Chairman of the Federation of Small Business (FSB) commented: “It is completely right that big businesses that don’t play fairly or pay fairly are named and shamed in the way Holland and Barrett have been. As set out in the Small Business Commissioner’s findings, their payment track record leaves a lot to be desired and has a big impact on small suppliers. If you are a small business experiencing late payment issues with Holland & Barrett, or any other large business get in touch with the Office of the Small Business Commissioner. The Small Business Commissioner’s report can be viewed here. The Office of the Small Business Commissioner was launched in December 2017 to ensure fair payment practices for Britain’s 5.7 million small businesses, support them in resolving their payment disputes with larger companies and bring about a culture change in payment practices between businesses and across sectors. Interest Calculator on its website – allowing small firms to calculate interest owed on unpaid invoices. * Legislation imposed in April 2017 required all large businesses to publish their payment practices.